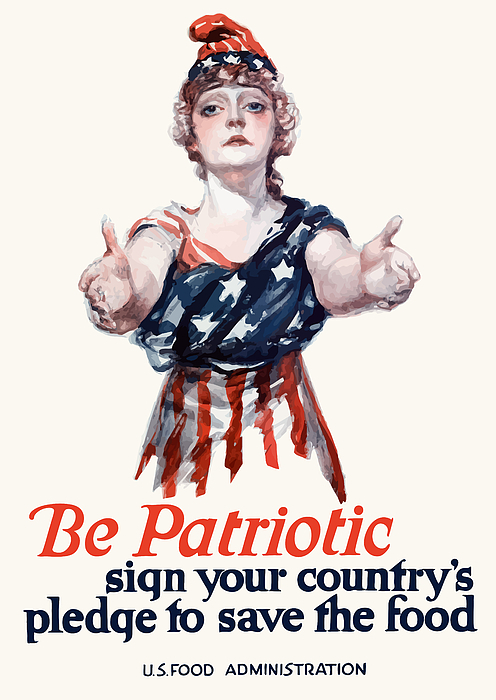 This vintage World War One poster features Columbia, the female personification of the United States. 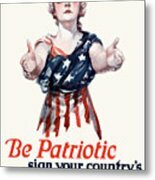 It declares, "Be Patriotic sign your country's pledge to save the food -- U.S. Food Administration". Celebrate American and WW1 History with this digitally restored vintage war poster from The War Is Hell Store.